A longstanding reticence to report crimes in San Francisco’s Asian community has been compounded by President Donald Trump’s anti-immigrant attacks, according to police and local nonprofits who work with the population. Capt. Joseph McFadden, who will be leaving the Ingleside station next week, said that SFPD is working to ensure that immigrants in the Asian community know that San Francisco is a sanctuary city whose police department does not disclose information to Immigration and Customs Enforcement. The department is trying to achieve this both by word of mouth and through announcements in Asian American media outlets. McFadden and Tabora said they hope these assurances will reach the Asian community and encourage people to go to the police when they’ve been a victim of crime. For McFadden, this is practical — he can’t assign resources to an area without data showing that it’s needed. For Tabora, it’s more personal. While much of Trump’s anti-immigration rhetoric is focused on the country’s Latin American and Muslim communities, Tabora said the message has been internalized by San Francisco’s Asian immigrant populations. 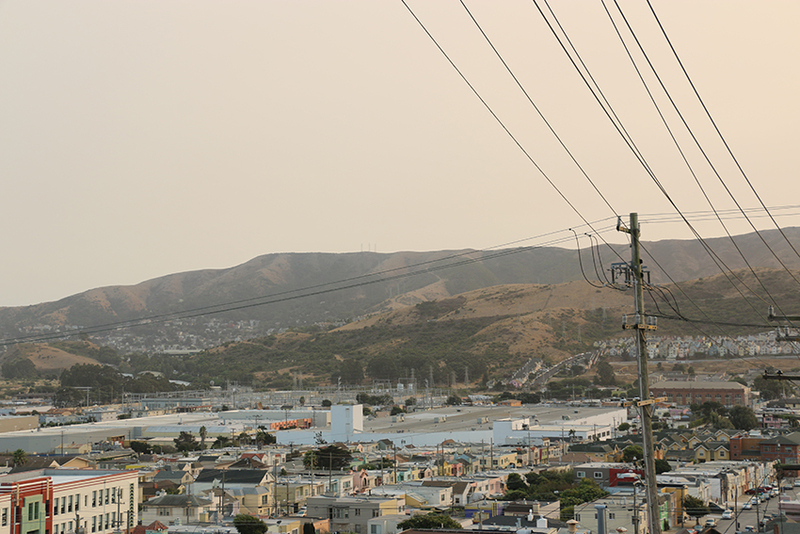 Tabora’s organization works primarily with the community in Visitacion Valley, a quiet neighborhood along the city’s southern edge that’s bordered by Bayview-Hunters Point and the Sunnydale housing projects, two areas of relatively higher crime. Break-ins and muggings are common in the area, and many Asian residents feel targeted for these crimes. Diana Yee, 31, whose Visitacion Valley home was broken into in a spate of burglaries on her street, said it’s a common generalization that Asian immigrants keep cash in their homes. Tabora seconded this: “There is a belief that Asian people don’t like the banking system,” he said. But this is a myth: “Ninety-nine percent of them” don’t keep cash at home, Tabora explained. McFadden said he would like to see a foot patrol established on Leland with officers who speak Cantonese and Mandarin. He’s made an effort to assign officers throughout the area who are fluent in either or both. Tabora, however, said the ability to communicate with police in their own language may not be enough to encourage Asian immigrants — especially those who are undocumented or whose family members are — to report crimes.